​More carbon dioxide means less goodness from the crops we grow on land and the fish we harvest from the oceans. Increased CO2 in the atmosphere reduces the nutritional value of rice, the world's most plentiful and valuable crop, as well as wheat and many wild plants. But CO2 also has a negative impact on the nutrition we take from the oceans, and that starts at the base of the food web with the harm it does to the microscopic phytoplankton. Here in Canada, we think of rice primarily for the many ways it can be prepared as part of so many different types of cuisine. 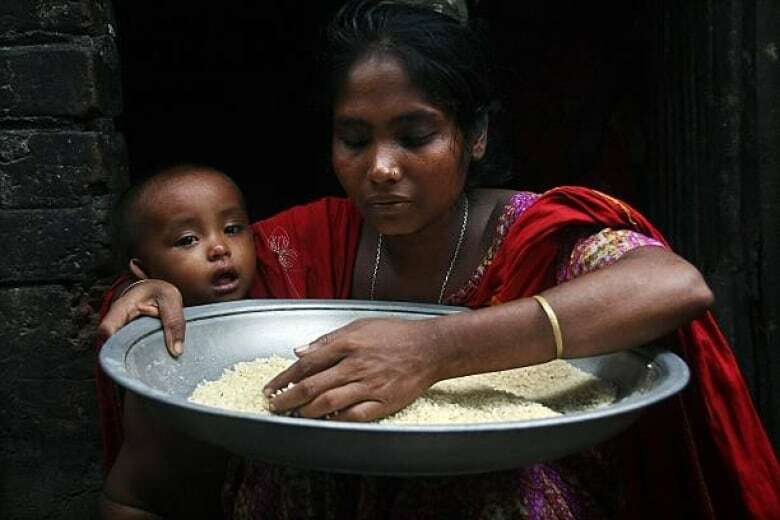 But in developing countries, like Bangladesh, Indonesia and Cambodia, rice is a staple. Millions of people in those countries get at least 50 per cent of their daily energy and protein directly from rice. But a new study by Kristie Ebi, a professor in the Department of Global Health at the University of Washington in Seattle, and her colleagues in China and Japan, have found that we are putting rice at risk: increased carbon dioxide in the atmosphere will reduce the nutritional value of rice. 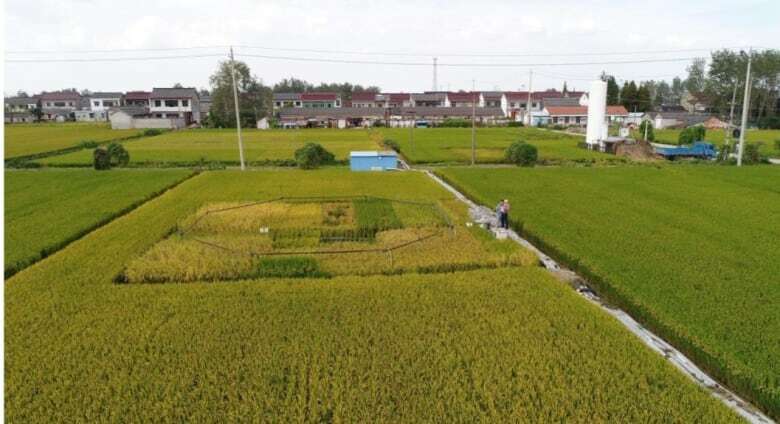 An experiment rice paddy was subjected to concentrations of CO2 expected later this century: 580 parts per million compared to the current 410 parts per million. "We looked across a variety of kinds of rice — and these are the most popular kinds of rice that are eaten in Asia — and we confirmed what's found in other studies: that protein, iron and zinc decline," says Dr. Ebi. "And for the first time we report that essential B vitamins also decline under higher concentrations of carbon dioxide." It has been proposed that an increase of carbon dioxide is actually good for crops because it makes them grow faster, larger and in greater abundance. Plants do need CO2, but too much carbon dioxide is turning crops like rice into junk food. Exposure to more CO2 means crops don't absorb the same amount of micronutrients from the soil, they produce more starches and sugars, less protein and Vitamin B. The reduction in one of the B vitamins has Dr. Ebi especially concerned. "One of the more important B vitamins we looked at is folic acid, folate. It's critically important for pregnant women to take folate acid; to make sure that they have sufficient intake of folate because without that, developing fetuses can have birth defects, and we saw up to a 30 percent decline." 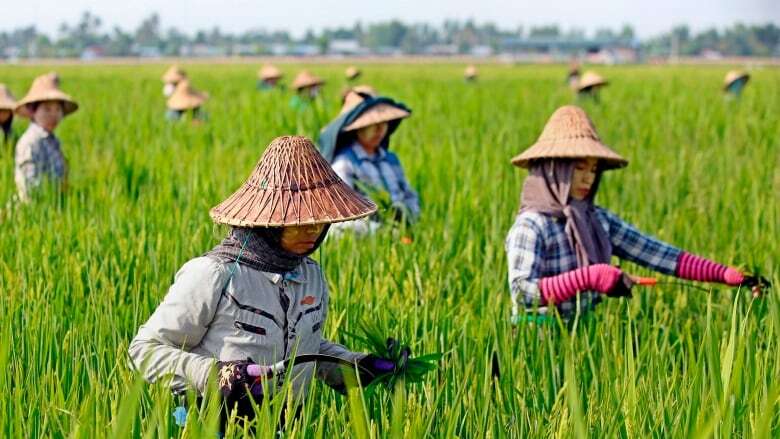 That 30 per cent decline was measured in other B vitamins including B1, B2 and B5 as well as B9 or folate, across 18 different species of rice, including many from China. This decline in the nutritional value of rice is an even bigger issue for the many impoverished countries. They rely very heavily on rice. Finding the same nutrition from other foods is not easy. "One can get protein and iron, zinc and B vitamins from other sources besides rice," says Dr. Ebi. "So ensuring that people have a diverse diet that's rich in these nutrients could counterbalance the decline in rice. But that's been a difficult issue to try and resolve. "When you look at countries, for example like Bangladesh, on average about three of every four calories comes from rice. People say, 'Well, people can just eat different foods.' As China has developed, there's been a shift from the number of people eating rice to people eating more milk and meat products. But other countries aren't doing the same. Even as many countries become wealthier, they are sticking with rice based diets." Although rice is the most significant crop impacted by rising CO2 levels, wheat, as well as wild plants will also decrease in nutritional value. The protein we derive from beef products, for example, may also diminish because livestock often eat wheat and rice. The negative impact of rising CO2 levels on the nutritional value of food is a story that is not only unfolding on land, it is also taking place in oceans around the world. 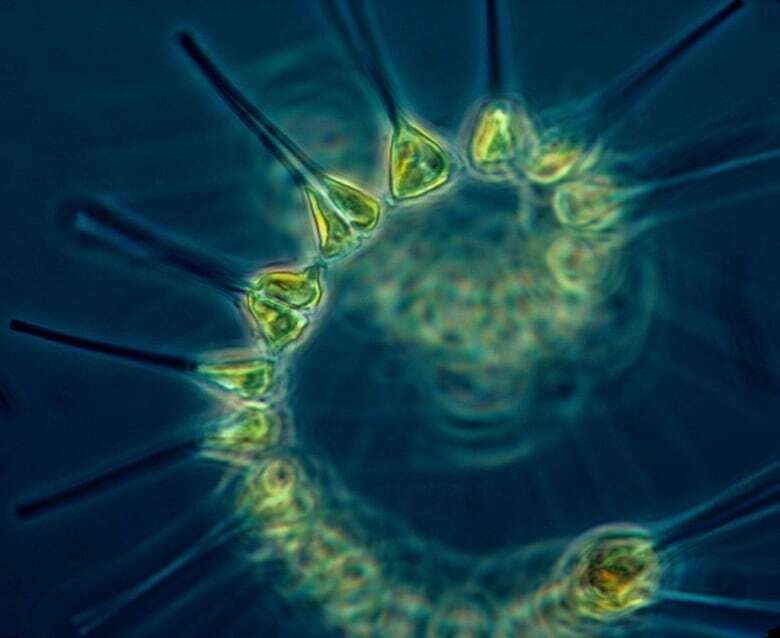 CO2 is warming the water and making it more acidic, and that's not good for phytoplankton — the microscopic plants found in the the upper sunlit layer of most oceans and bodies of freshwater on Earth. Phytoplankton is the base of the ocean's food web — and similar to rice, we rely on the nutrition it provides, specifically fatty acids. Jenna MacKinnon is a Master's student in the Environmental Science program at the Memorial University of Newfoundland in St. John's. She is currently researching the relationship between CO2 and phytoplankton. 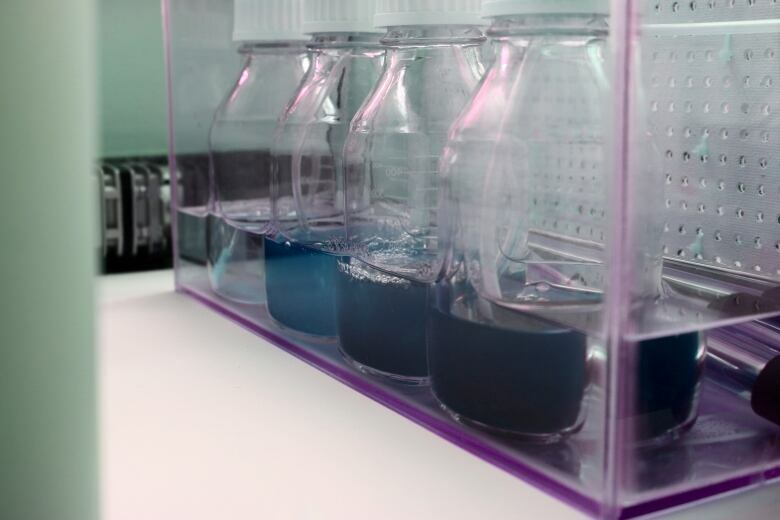 "Well my research looks specifically at lipids and essential fatty acids," MacKinnon says. "Essential fatty acids you probably heard of are omega-threes and omega-sixes. Basically our bodies either cannot produce them, at all, or our bodies cannot produce them in high enough quantities that we can actually use. So we rely on things like fish, flax seeds, and a bunch of other foods to get these essential nutrients." The health benefits of omega 3 and 6 are varied. They are anti-inflammatories and antioxidants; they are important for brain development, fetal development, immune system function, blood pressure regulation, mental health, and have also been used in the treatment of cancer. Climate models predict oceans will warm by 2 C and become more acidic by 0.5 of a pH by the end of the century. This will have a huge impact on phytoplankton, which have been living constant temperature at pH for hundreds of years. In fact, MacKinnon has already seen a change in the fatty acids of phytoplankton samples she has studied in the Arctic. She feels the issue has already worked its way up the food chain to fish on our plates. "I think some of them are already showing lower levels of nutritional value, especially depending on where you get your food because the ocean temperature and pH is changing at different rates depending on where you are in the world," MacKinnon said. She says she's "very concerned especially because … of all the health benefits that phytoplankton provide us with. It's just kind of scary to think that the food that we eat, like fish, is not going to be as healthy as we once thought it was or that we continue to think that it should be." Where was the Higgs boson particle 'hiding' before it was discovered?